In my school the Language Arts department teaches Latin and Greek stems to their students. The students are given about 10 new words a week and tested weekly on their cumulative stems. 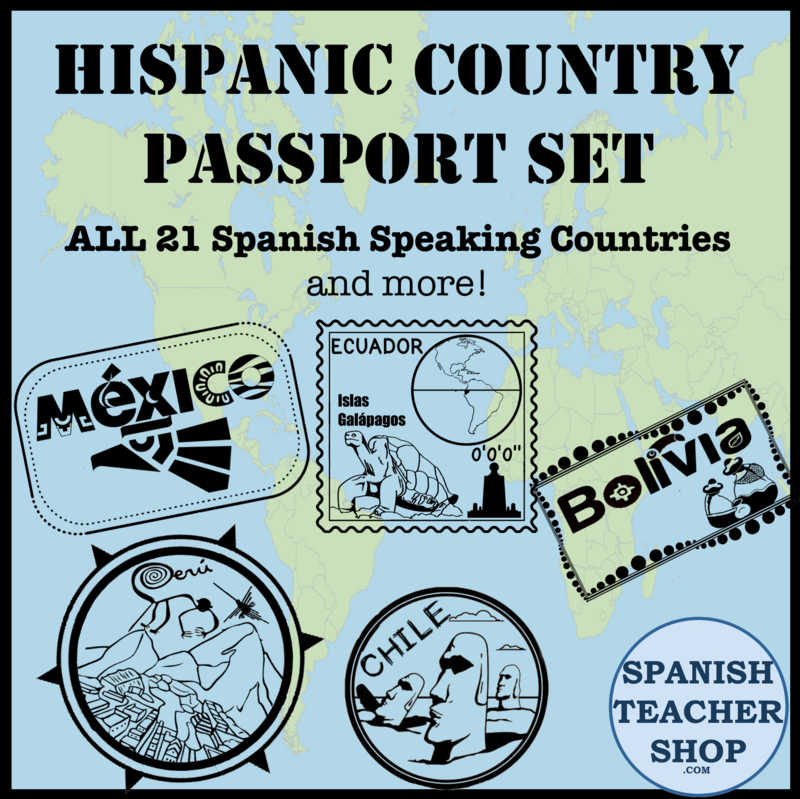 As their beginning level 1 Spanish teacher, I have been trying to have the students make connections with their stems and their Spanish vocabulary. It is extremely awesome to hear a student say “Oh, I know that word. That comes from the stem ______.” If students can make these connections, it will help them in both their classes. 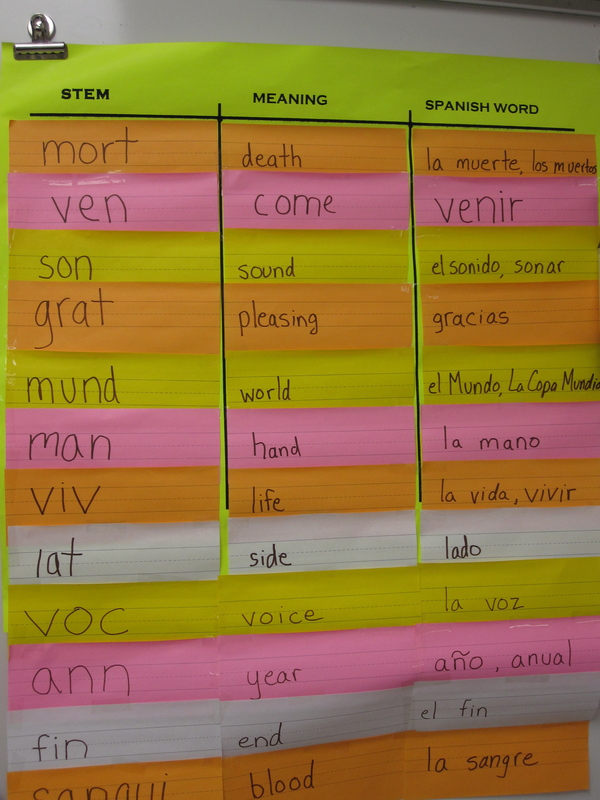 I have created a chart of stems that they have learned, their meaning, and a related Spanish word. As we get to new Spanish vocabulary, I add new stems to the list. This entry was posted in Bulletin Boards, Cognates and tagged Language arts, latin, spanish, stems, teaching. Bookmark the permalink. What do the Language art teachers do with the ten words they pick? Are there any specific words they choose? Stems are part of their curriculum so they have a whole text/workbook full of stems.